The Da Vinci Quote | Blue Coal Men's Short sleeve t-shirt | itself. 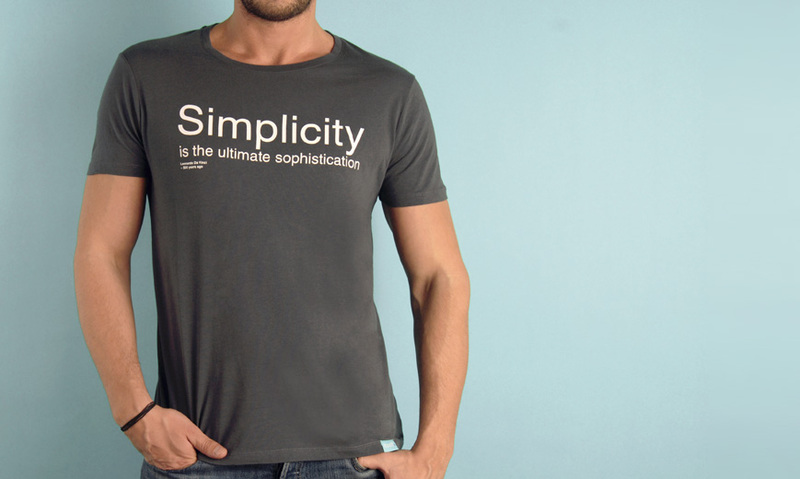 Simplicity is the ultimate sophistication said Leonardo Da Vinci almost 500 years ago. We'd like to express our admiration of Da Vinci's wisdom, so we printed this timeless quote on our t-shirts available for all you clever boys and girls.